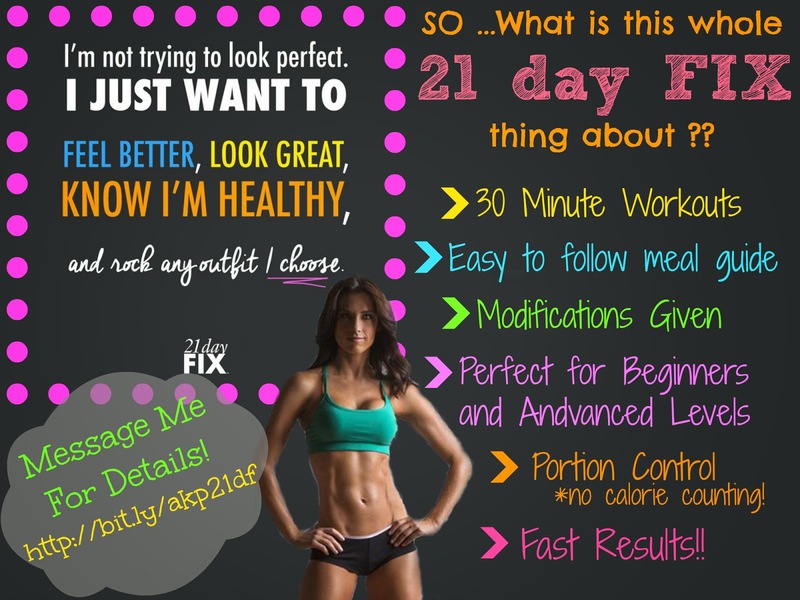 a power full journey: Get 21 Day Fix while it is still on SALE!! Do you need to lose a few pounds, and want to do it fast? Do you finally want to see those abs that are trying to say hello? Do you need to get your portion controlling under control for good? Do you want better nutrition and fitness worked into your life - but you don't know where to start?! Do you want to start making positive strides in the direction of a healthier you There is no time better than now! I needed ALL of that, and I now have more energy, I am happier and healthier .. and it is all thanks to joining my first Challenge Groups run by my amazing Beachbody Coach and the 21 Day Fix program and Shakeology!! Do this for yourself! Ask me questions! I want to help you reach your goals!! There is still time to get your copy of the amazing 21 Day Fix + Shakeology Challenge Pack while at the promotional price!! This program has already helped myself and so many others! There is absolutely no guess work with the meal plan, the workouts are short and effective, and you will LOVE Autumn as your trainer! It is PreSeason Day 2, so you can still reserve your spot in this month's challenge group, and get it in the mail ready to get to work on Monday!! Fill out an application right now and message me for details, I would love to talk with you about any programs to fit your lifestyle needs!